Thanks for downloading our Gp4 2016 Mod. Here you can find the credits to the authors who support us by giving permission to use their stuff in this mod. 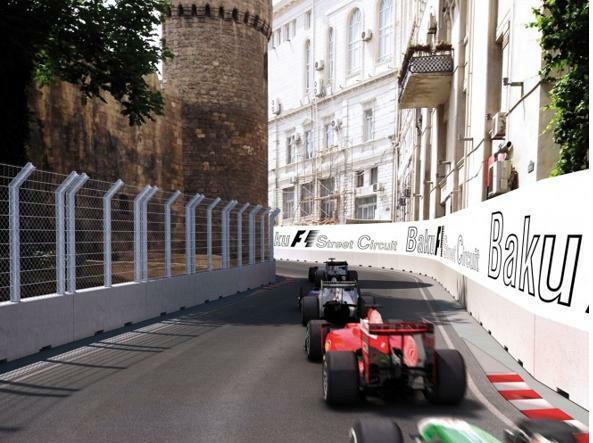 – Files : Cars.wad, anim.wad, Gp4.exe (tweaked), f1graphics.cfg, gpxdata, team art, pitcrew & engine, physics, performances, magicdatas & etc. You’ll have accurate laptimes in Ace level only. 5. Run the game at least once and exit the game "saving the settings"!!! 6. Install ZaZ GP4 Tools Beta or later version. Be sure to run the update several times. 7. Goto folder where the mod was downloaded. Extract the .rar files. 8. Doble click on the .cuh file and automatically the mod will install into csm. Be sure to name it "TheUnofficial2016Mod_v0.1Beta". Else future updates wil not work!!!. 9. If car textures look white be sure to put HI in textures in the game. Thats in Options-graphics-advanced graphics. Known Bugs : Inform us if you find any!!! Download v0.85 (mediafire) => Por favor, inicie sesión o regístrese para ver los enlaces. Trackpack v0.1 (tracks 1/17 (mediafire)) => Por favor, inicie sesión o regístrese para ver los enlaces. Trackpack v0.1 (tracks 18/19 (mediafire)) => Por favor, inicie sesión o regístrese para ver los enlaces. Thanks to all others who have helped to keep this game alive. Have fun playing our mod! Teuniegp4, Riekusquattro, casssp y 7 otros les gusta esto. A Juliano Marques y jcaranti les gusta esto. 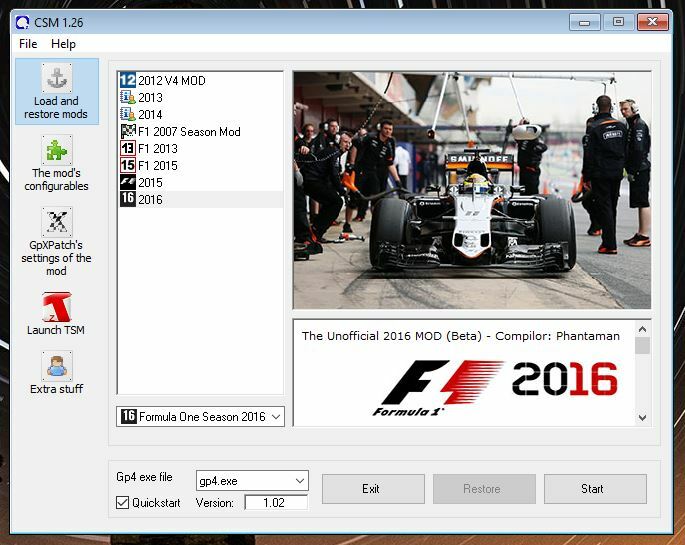 is non-csm f1 2016 is work in progress too? A Juliano Marques le gusta esto. Yes, I 'm working on it . Will have is about 75% ready. I believe that today, only an updated Ferrari is missing for the MOD out as a pre-release. the ForceIndia is the same 2015 chassis and I have 2016 textures here. Sauber just came out, so that's it. I could distribute the MoD with these MP4-30 and Williams "disguised" as if they were the SF16-H, but would not be the same. Aguarde um pouco mais a Ferrari e a Force Índia vão sair. A Sauber e a McLaren já saíram. Tá incluso a pista de Baku-Azerbaijão??? A cire90 y fabius1984 les gusta esto.